BODYPUMP has been challenging muscles for decades. From its humble beginnings as a dumbbell class in a basement gym, to the biggest fitness class in clubs around the world, this is the BODYPUMP story. While some are born into families of businessmen, craftsmen or even fishermen, BODYPUMP™ was born into a family of athletes. The Mills family has long had athletic blood pumping through their veins. Phillip Mills is the second generation to drive the family business and he believes authenticity is the reason BODYPUMP became so popular so fast. When Phillip’s father, Les Mills, opened the first ‘Les Mills World of Fitness’ gym in Auckland in 1968, most of its members were athletes. With Les competing in four Olympics between 1958 and 1972, and Phillip representing New Zealand for ten years in track and field – it is no surprise that much of their community was from a sporting background. Long before the creation of BODYPUMP, when fitness for the masses involved a lot of aerobics and tae-bo, the Les Mills family and its gym, were weight training. It was this athletic style, in an environment full of elite athletes, that people seemed drawn to. Soon a simple, but popular, dumbbell class was offered within the gym. The benefits of strength training on fitness and functionality meant the class quickly became so popular that the amount of dumbbells needed made the whole thing almost unfeasible. This issue created the first step that took a simple dumbbell class towards the global phenomenon that is BODYPUMP today. With his wife Jackie, also a former New Zealand athlete and gymnast, Phillip created a group barbell class as a more efficient system to deliver all the benefits of strength training. It was also during this time that feminism was taking off in New Zealand. Women were chasing strength and empowerment not only metaphorically, but physically as well. Jackie knew weight training was perceived as ‘masculine’ exercise that created large, bulky, muscular bodies. She had been incorporating weight training into her exercise throughout her gymnastic career and knew that the right type of strength training could create a strong lean body. BODYPUMP was developed to accommodate men and women, of all ages and fitness levels, by providing a workout that was effective for everyone. The relatively light weights, used for a high number of repetitions, meant this class did not discriminate. Championing “strong is the new skinny” well before its time, Jackie and Phillip emphasized the gains involved in strength training; from cardiovascular health to joint functionality to hormone responses. This type of training also produced incredible shape, in both men and women, with lean, toned muscles and longevity of results. Participants soon realized that weight training in a group environment accompanied by great music, and led by a motivating coach, was more fun than a traditional weights workout. With so much goodness packed into one class BODYPUMP quickly shot into the international fitness stratosphere. Other clubs began requesting the rights to license BODYPUMP – first in New Zealand and Australia, then the United States and Europe. Now BODYPUMP can be found in more than 15,000 health clubs around the world. Ensuring BODYPUMP continued as a world-class workout meant living on the frontline of global fitness research and trends. 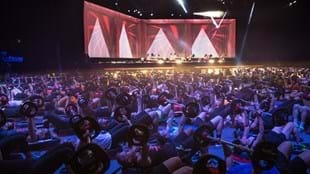 Les Mills grew a global team of fitness professionals, researchers and sports scientists, all dedicated to making sure every BODYPUMP workout was phenomenal. Phillip and Jackie’s son Les Mills Jnr also entered the mix. Following in both his grandfather’s and father’s footsteps, Les Jnr began playing sport internationally. Primarily based in L.A, the style of exercise used to train this next generation of athletes was high-intensity interval training; now known as HIIT. 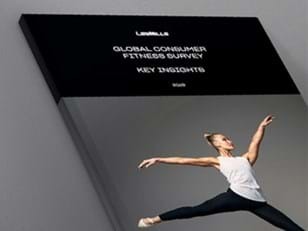 With these new insights, Les Jnr returned home and began working on the LES MILLS GRIT™ Series. Not only did Les Jnr develop and create a new tier of programs, he also shared the research and trends of this style of training (a concept about to take the world by storm) with BODYPUMP. Although BODYPUMP couldn’t take on all the attributes of a true HIIT workout, it could evolve. Encouraging participants to push themselves harder in short bursts (still with moderate to light weights), BODYPUMP had found a way to develop an effective workout without excluding anyone. With this change in style, a change in equipment was required. Considering equipment was at the forefront of its initial development, BODYPUMP did not hesitate and quickly began experimenting with new designs for a more versatile piece of equipment. From the dumbbell, to the stacked barbell, to the Les Mills SMARTBAR™. With unique retractable teeth, the SMARTBAR now made weight changeovers fast and seamless, speeding up transitions to ensure participants get the most out of their workout. This new ease of changing weight also encouraged users to increase weights in small increments, pushing their strength and fitness to new levels. Further enhancements to the program were made as instructors began sharing the knowledge and science behind this style of training –explaining how and why muscles were responding to certain moves. For example, illustrating what ‘time under tension’ meant or how you could keep your body guessing simply by changing the direction of an exercise. This desire to educate comes back to the authentic foundation that “Les Mills World of Fitness” was built on. For a truly authentic athletic workout it is important to understand how and why something is working for you. 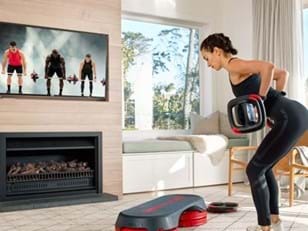 After 25 years of continuous development, with a dedicated team of researchers and scientists now in its squad, it is undeniable that BODYPUMP will continue to evolve and provide revolutionary workouts for years to come.